Enjoy a special Shabbat dinner and celebration of community building, inclusion and diversity. Hear first hand from Hillel Milwaukee students as we recognize their accomplishments with an inspiring student award and scholarship ceremony. Want to sponsor a table of students to attend Blue and Gold Shabbat or can't make it and want to donate to this important community event? 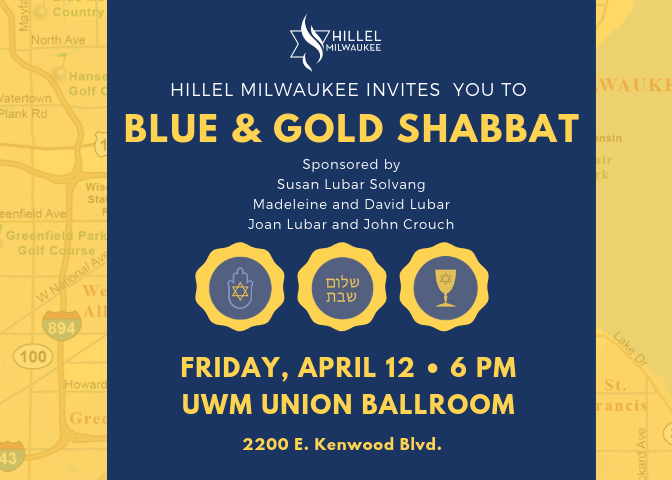 This Shabbat evening is open to all students, faculty and administration at any Milwaukee area university or college, as well as parents, friends, and members of our Milwaukee community.